There seems to be a common misconception that grooms don’t have to do much to prepare for the wedding day. While some people think all eyes will be on the bride, it is important to remember that the groom plays just as big of a role in the wedding day. After all, he is half of the relationship that you’re all gathered to celebrate! 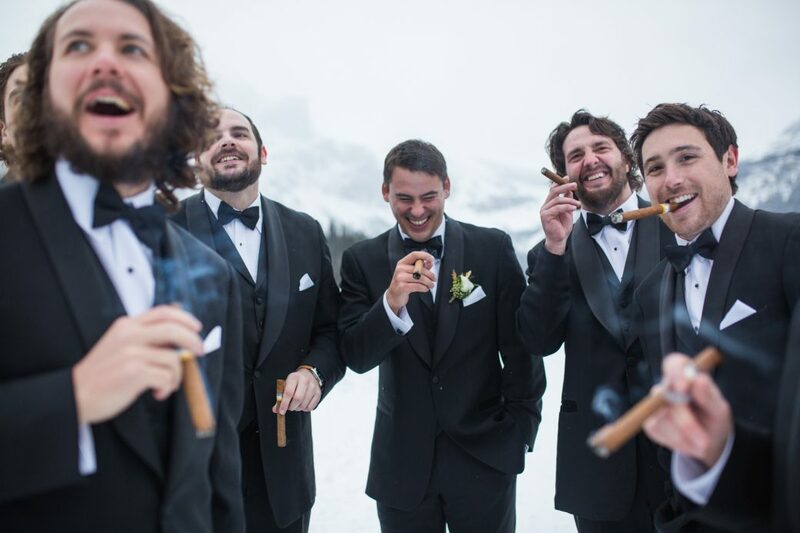 So why do we think that the groom doesn’t want to be top-notch on his wedding day? Guys. Your wedding day is a big deal, which means there is a lot of work that goes into planning to make sure it is perfect. The best way to begin taking care of yourself is to establish and keep to a consistent routine. This will help tremendously when everything is in full swing and your days start to become more hectic. So, one of the most important things to include in your routine is downtime for yourself. Whether that means reading a good book, watching an episode of your favorite TV show or taking a nap. It is essential that you have time to unwind. Headspace is a meditation app that can help you unwind and ease stress. There are a variety of sessions to choose from that focus on elements like stress, anxiety, and sleep (all things that couples planning their wedding are likely to encounter). What matters most is that you take time to ease yourself. You never know what stress you could have pent up and not realize it. Guys, your smile is one of your most prominent features. It is going to be the focus of your wedding day, especially when your significant other is walking down the aisle! Pay extra attention to your pearly whites and consider switching out your toothpaste for a whitening paste option. It may be a small change, but it can have the biggest impact and aid in eliminating any pesky stains on your teeth. It can boost your brightness and your confidence! On your wedding day, you want to be looking your best from head to toe. So if you’re looking for a small fix that can help boost your confidence, it’s not a bad idea to start thinking about your hair health. While grooms typically have less hair to work with, they still have styling decisions to think about! Research options like Finasteride to prevent hair loss and in some cases, aid in growing thicker hair. Before you think about what style you’re aiming to have when you walk down the aisle, make sure the hair you’re working with is the best it can be. Keeping our last tip in mind, grooms have a lot to consider when it comes to their hair. With that said, do not go to your barber and get a brand new cut days before your wedding. The more obvious reason being that if you hate the cut you will have no time to grow it back out. Now you’re stuck with the regret every time you look back at your wedding photos. On the opposite side, let’s say you do like your new look. Your hair needs time to adjust, and oftentimes it requires training for it to fall the way you like. If you don’t give it time, you run the risk of hair that has a mind of its own; leaving you looking scraggly at the altar. So if you’re feeling adventurous and want to test out a few looks, do it at least 6 months before the wedding so you have time to practice styling it and even regrow it if need be! It’s rather self-evident that taking care of your body can have a really positive impact on your overall well being. We all know that diet and exercise is good for our health. But it can serve as a great outlet when you’re trying to blow off some steam and relieve yourself of stress. Whether it’s going for a run, taking the dog for a walk, or simply following a yoga tutorial online. Channeling all of your wedding jitters into exercise will do wonders for your mentality. You can even make it a joint effort and do something active with your partner. We all know both of you are feeling a lot of emotion leading up to your big day!